Symbol MC9200 Mobile Computer: The MC9200 is the latest in the industry-leading rugged MC9000 Series, the industry’s gold standard for mobility in inventory and asset management in the most demanding environments — from the warehouse floor to the dock door. 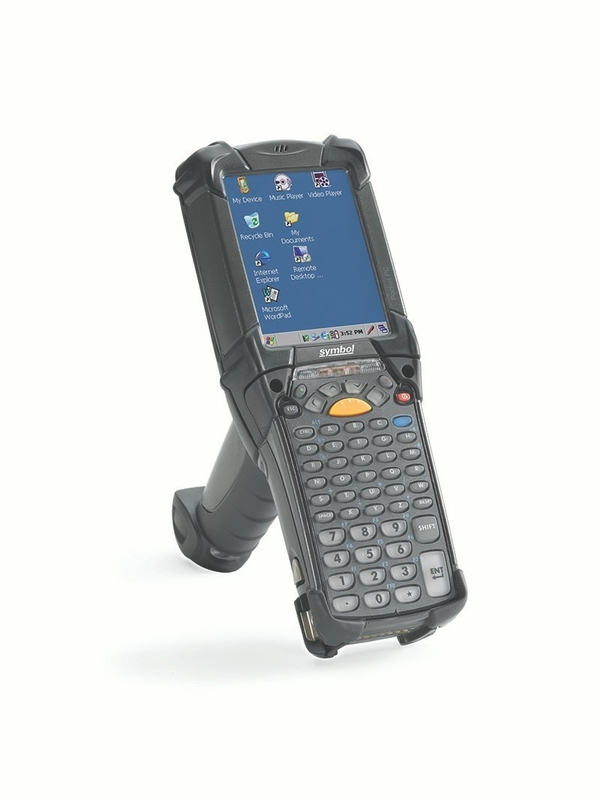 The MC9200 raises the bar on rugged mobile computing and device flexibility, with your choice of three operating systems, the ability to switch between operating systems, seven of our most advanced scan engines, six interchangeable keypads and plenty of power to support today’s highly-graphical applications. And if you already own MC9000 Series mobile computers, you can use the same accessories with the MC9200, demonstrating our commitment to helping our customers upgrade as cost-effectively as possible to the newest technology platform. The MC9200 — all the mobile computing technology you need to take productivity and accuracy to the next level in your toughest environments.